Visual inspection of the regulations and instructions marked. 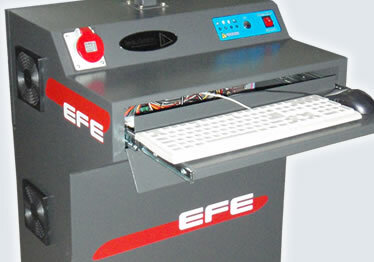 Lamp operation tests or load simulation. Earth continuity test (PAT) with a current of not less than 10 A and a voltage gap between 6 and 12 Vdc or Vac, for those equipment Class I (Class II and III are excluded). Insulation Resistance Test with a voltage of 500 volts, which it should not be less than 2 MOhm. 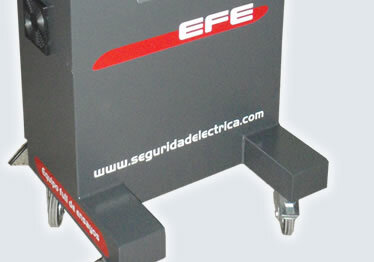 Polarity test, when it is necessary for the proper operation of the luminaire. The monitor system has 19" LCD to view and control the entire system. 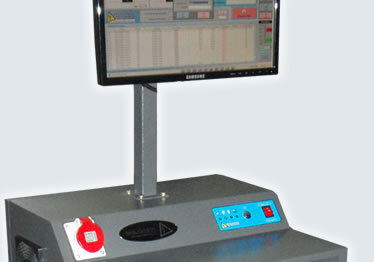 The equipment EBE 4 (Basic Test Equipment) is a system of acquisition, processing, control and management of data, to store all the results in a database and then generate production reports daily / monthly / annual statistical graphs, thus obtaining all the necessary information and trends for managing production control system. The EBE 4 (Basic Test Equipment) meets the needs of traceability required tests and calibrations performed in any certification system. 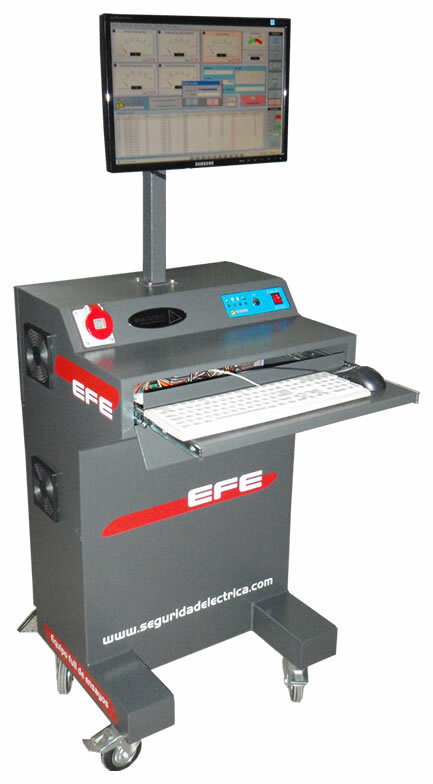 The EBE 4 (Basic Test Equipment) is delivered with its Calibration Report drawn to national standards, a manual for use of equipment and a manual system (software for acquisition, processing, management and control).